Australian cyclist Richie Porte will leave Team Sky to join the American BMC Racing team on a one-year deal in 2016. 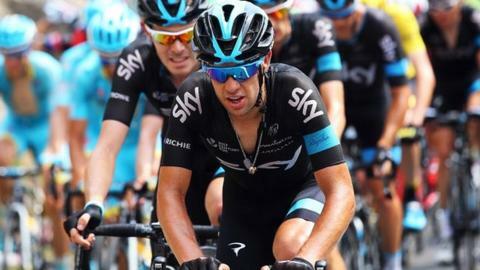 Porte, who was punched by a spectator during the Tour de France, played a key role in helping British team-mate Chris Froome win this year and in 2013. The 30-year-old joined Team Sky in 2012 and has won the week-long Paris-Nice stage race twice. BMC Racing manager Jim Ochowicz said Porte will add "extra muscle and a wealth of experience". He added: "It also gives us the chance to separate and/or unite our strategies and goals as we see fit throughout the season." Porte's best result on the Grand Tour stage is seventh overall in the 2010 Giro d'Italia competing for Team Saxo Bank, when he also won the white jersey for the best under-25 rider.